Mountain Home Mowers specializes in Lawn Mower Parts as well as service for the home owner and also for the commercial cutters. We feature quality parts for AYP, Arien, Gravely, BCS, Dolmar, Efco, Husky, LawnBoy, Briggs & Stratton, Craftsman, Honda, Kohler, Maruyama, McCulloch, Tanaka, Tecumseh, Little Wonder, Mantis, MTD, Murray, Ridgid, Ryobi, Scag, Troybilt, Walbro, Wheel Horse, Zama and many more! Get a jump start on spring by getting your lawn mower in gear. 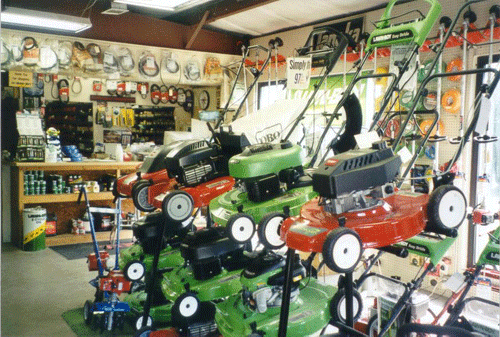 Look to Mountain Home Mowers for all your Lawn Mower Parts this season. 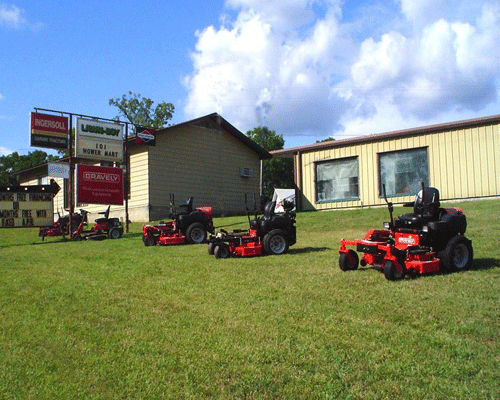 You'll find brand names like Gravely, Lawn-Boy, MTD, Dixon, Toro, Honda, Ariens, Murray, and more. Have a particular part in mind? In the last 32 years. Mountain Home Mowers has been there since the beginning and you can place confidence in our reputation that places us above the competition. We strongly stand by our motto, "Service after the Sale, It's the Service That Counts". Besides offering great prices and service to the homeowner, we are also continualy striving to provide the best customer service. Along with our great selection of various Lawn Mower Parts, we continue to ship most orders within one business day and offer significant savings on your parts needs. Hello and Welcome to Mountain Home Mowers.com, My name is John Sandell and here's a small run down on the history of Mountain Home Mowers. We were founded in 1980 and have been in the small engine repair business since. We have a large selection of new and obsolete parts for garden tractors, lawnmowers, chainsaws, tillers, trimmers, pressure washers, generators, gasoline powered drills and more. We also carry parts for most all major brands consumer and commercial grounds care equipment.